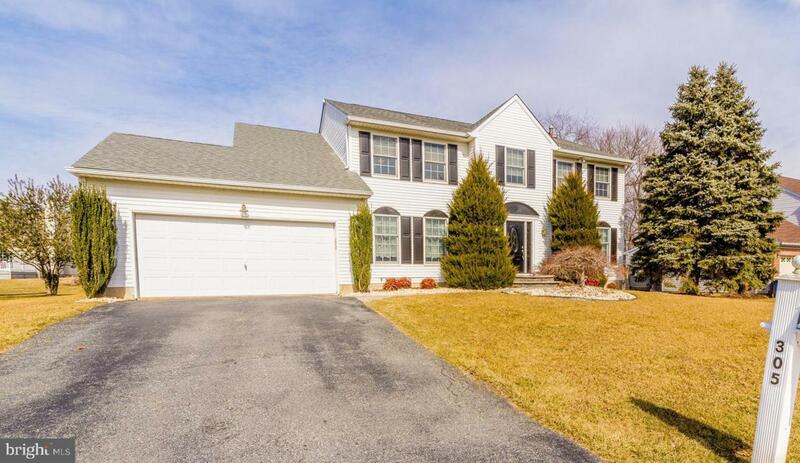 Don~t miss out on this spacious family home in the highly sought-after Westwoods community of Hockessin. 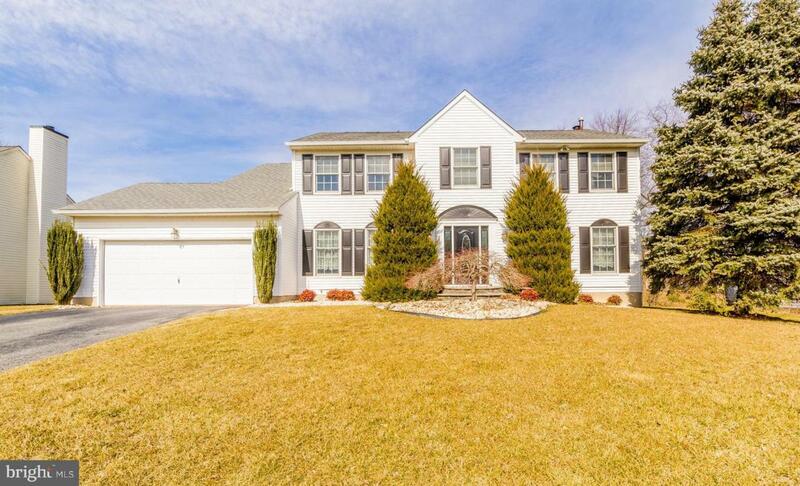 This single owner, custom-designed center-hall colonial boasts four bedrooms and 2.5 bathrooms with 2,875 square feet of living space. Located on a gorgeous lot that is just oozing curb appeal with stone landscaping beds, paver walkway and entry, beautiful, mature Japanese maple tree, and more. You will love the quiet setting and limited traffic on this cul-de-sac street. As you step into the home, you are first welcomed to the wide foyer with a nearby coat closet. 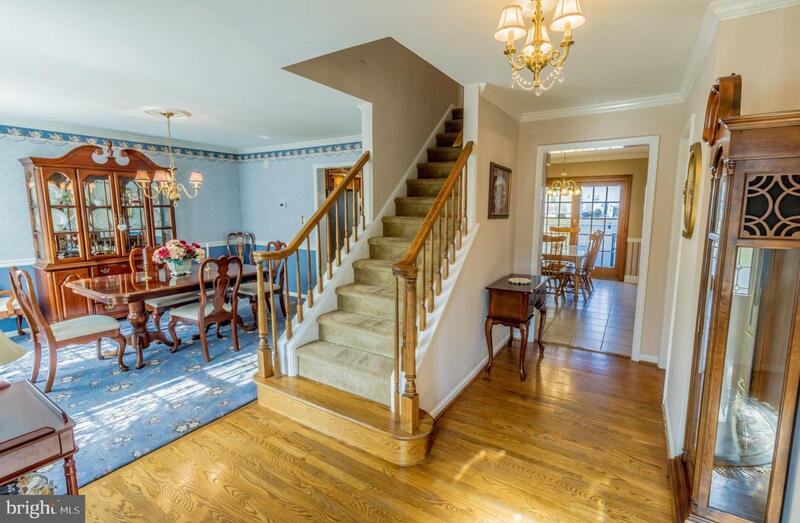 Immediately off the foyer is a spacious family room and an easy flow into the formal dining room with gorgeous crown molding and chair-rail detail. Beautiful hardwood floors flow throughout most of the main level including the spot your family is sure to gather: the great room. The comfortable and spacious great room features tall baseboard trim, a gorgeous wood-burning fireplace with marble surround and large French doors to the family room, making the great room feel even larger. Moving into the kitchen shifts to tile floor with a modern stainless-steel refrigerator, Corian countertops, beautiful tile backsplash, and off the kitchen you will find the main level laundry room with an exit to the yard and a washer and dryer that are included in your purchase. Also on the first floor, find a great and spacious office space that can also be used as a nursery or fifth bedroom for a large family. Upstairs find all four spacious bedrooms with wide closets including the master that offers a giant (12~x10~) walk-in closet as well as an ensuite with a large, corner jetted tub, separate standalone shower, and a wide vanity. The hall bathroom shared by the other three bedrooms has been totally renovated with tall trim, a sparkling white bathtub surround and a brand-new vanity with plenty of space and a marble countertop. Enjoy outdoor entertaining on the huge PVC composite deck with white vinyl rails featuring built-in lighting, outdoor speakers, and a natural gas hookup for the included stainless steel grill. Plenty of upgrades have been made to this home to allow you to feel confident and secure for years to come. There are Anderson new-construction windows on all front windows of the house and the back windows are all new vinyl. The architectural roof is only 10 years old and the high-efficiency natural gas HVAC system is only four years old. The attached two-car garage can be opened with a phone app, and the basement features a poured concrete foundation and sump pump system. 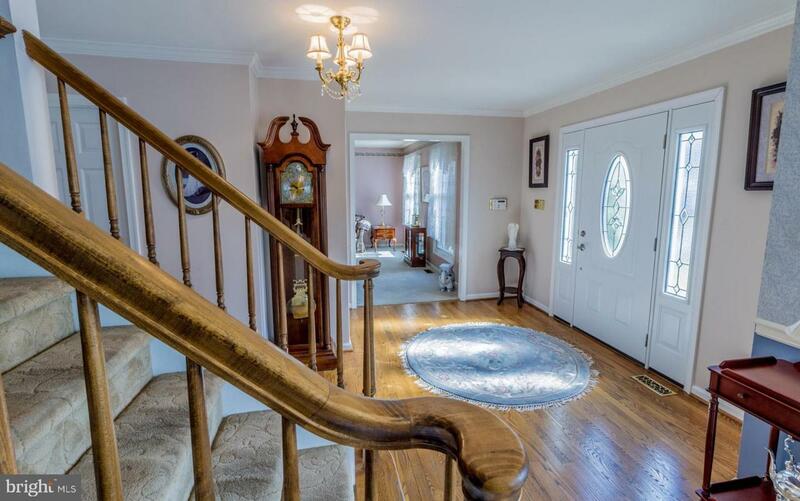 This charming and spacious family home is move-in ready in a premium location and won~t last long. Schedule your private showing today!